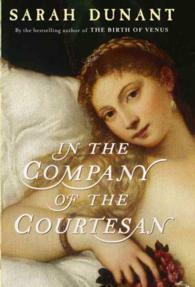 In the Company of a Courtesan is Sarah Dunant’s second novel after the very successful Birth of Venus. Mid 16th century Rome is being sacked by protestant Spaniards and Germans. In the middle of this bloodshed we have Fiametta Bianchini, a courtesan and her dwarf servant, a pimp and a friend Bucino ; these two extraordinary characters manage a lucky escape after Fiametta is deprived of her physical assets by pious German women. They take refuge in Venice which is Fiametta’s birth city, but with her beauty destroyed, there is little they can do to regain the lost wealth they acquired thanks to Fiametta’s earlier successful enterprises. A series of unfortunate events makes the pair’s business hard to set up again, this is where the third main character of the book enters in the life of Fiametta and Bucino. La Draga is a mysterious healer whose prowess enables our courtesan to set up shop again with a wealthy clientele. By using Bucino, the sharp eyed and sharp tongued deformed dwarf, Sarah Dunant gives us a well detailed description of Renaissance Venice, not only a physical description, she also describes what goes on behind the scenes of a catholic led society, and the hypocrisy of the clergy and the wealthy high society. I enjoyed this novel very much, but there is one criticism I would direct to the author, that the middle of the book is very slow, but the end plot redeems the novel making it a worth while recommended read.